RecipeSavants.com This traditional Uzbek Achichuk salad is simply dressed chop salad and features a bounty refreshing bounty of tomatoes, cucumber, onions, carrots, and radishes. This salad pairs well with spicy dishes. 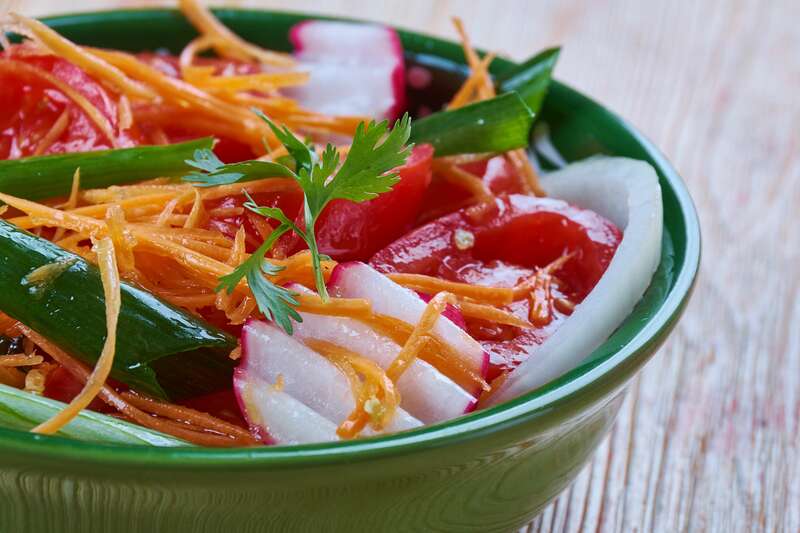 Smart Recipes, Asian Recipes, Vegetables Recipes, Recipes Vegetables Asian Achichuk Salad PT15M Serves 4 Ingredients: 1 Large Tomato 1 Large Cucumber 0.25 Large Bunch Of Scallions 1 Large Carrot 4 Large Radishes 0.25 Teaspoon Soy Sauce 2 Tablespoons Fresh Dill 0.25 Tablespoon Cilantro 1 Small Red Onion 2 Tablespoons Olive Oil 2 Tablespoons White Wine Vinegar 0.5 Teaspoon Freshly Ground Black Pepper 3 Cloves Garlic In a bowl, combine the soy sauce, black pepper, minced garlic, olive oil, and white wine vinegar, whisk to combine. 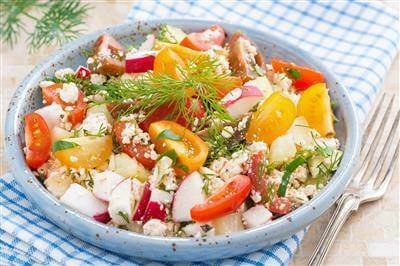 In another large bowl combine the remaining ingredients and toss with the prepared dressing. Garnish with the cilantro. 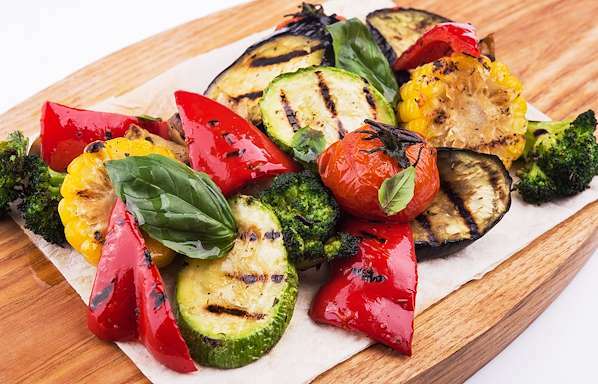 If you enjoyed this salad recipe, you'll love these fresh ideas! 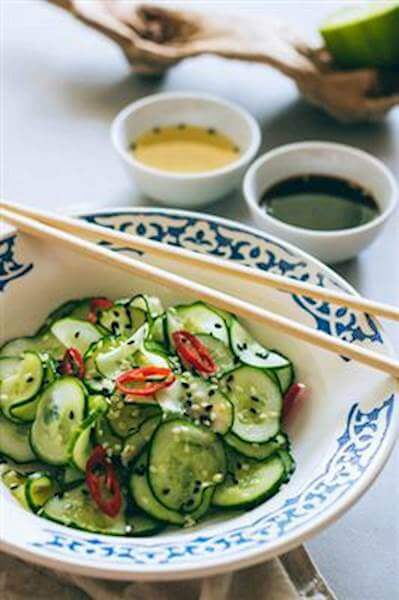 This simple Thai cucumber salad is dressed nicely with the sweet-tangy-salty dressing. The Fresno Pepper spice it up subtly that you can add more if you prefer. It’s one of our healthiest and tastiest recipes for a simple lunch that you can toss-up in a snap. Or serve as a side for a lavish dinner along with Thai noodles and Japanese Rice Lager.